Whether you are an outdoor enthusiast, a first time camper or an expert mountain climber, a good backpack is an essential for you, regardless of the nature of your trip. Whether it is a flight across the city or a stroll in the neighborhood park, a good backpack is worth the purchase. 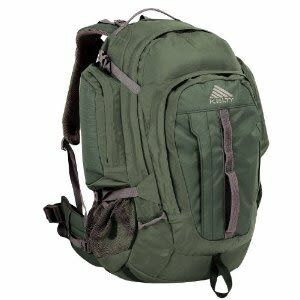 This backpack review will help you decide what is required for you and at the same time, provide information about one of the finest available in the market. Backpacks are the most convenient type of accessory to carry around. Not only they serve to accommodate all your accessories and essentials, but they allow your hands to be free to tackle other things. In addition, even though we use them on a regular basis, you must look at some of the features when selecting a bag for whatever purpose you decide to use it. Be warranted by the company for repair and replacement. Knowing what you want and what your requirements are can help you in making the right selection for the use. 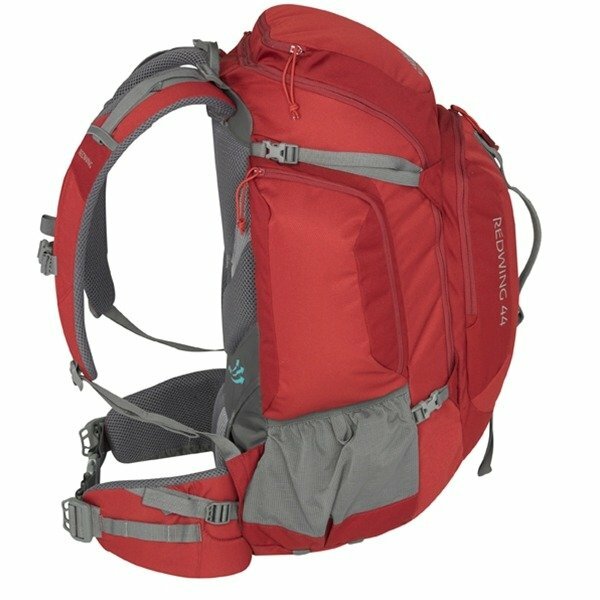 Kelty Redwing 50 Internal Frame Pack is available with different prices. On some stores, you will find its lowest price as $83 and in some stores, the price will touch $119. However, you need to check the credibility of the store and its reviews before you order your product. 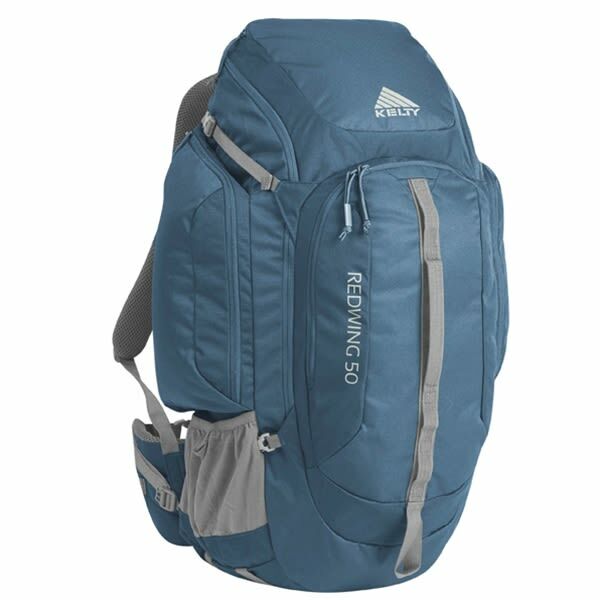 Kelty Redwing 50 Internal Frame Pack comes with a light beam stay and a suspension system, and therefore it appeals to the more adventurous personality. Therefore, whether you are on a plane or a hiking trip, these features are specifically designed to cater to your needs. The Kelty Redwing Pack is a lightweight, appropriately sized and easy to carry backpack. Weighing just 3 lb. 9 oz, the bag has a capacity of 3,100 cubic inches. Sized at 18 x 25 x 14.5 inches, while still being lightweight, you can carry many things without carrying extra baggage weight. The Kelty Redwing 50 Internal Frame Pack is divided into multiple compartments with panels and packets. With the panels and side pockets, you can keep your belongings all around and without digging too deep into the bag you will find them. The front pocket comes along with various organizational compartments, which are great for keeping your bag neat and tidy. Furthermore, the all-around zipper of the main compartments makes packing for trips very convenient. 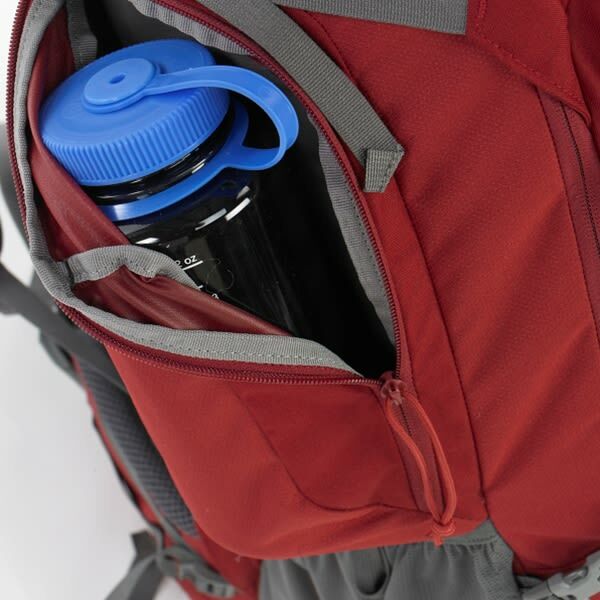 In addition, the reservoir sleeve and mesh water bottle pockets keep the food and drink at an easy location for a quick access. The key fob and daisy chains are also included to keep your keys where they should be. 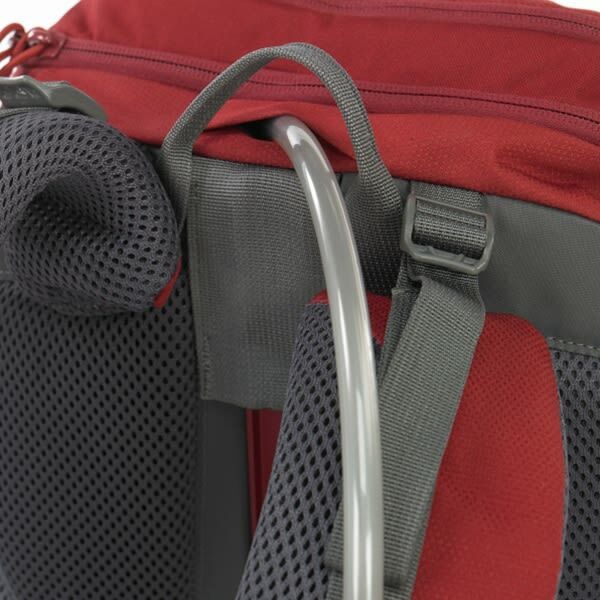 The Kelty Redwing 50 Internal Frame Pack has special pockets for storage of beverages and food. Therefore, while you travel, you can be sure that your water bottle is by your side and there is always something to munch on. This bag has multiple features for the more advanced and adventurous user. The Kelty Redwing 50 Internal Frame Pack comes with features and suspensions that are truly designed for the more rugged/tough users. It comes with an internal support frame, which insures that the bag is well supported yet flexible. The side compression straps may appeal to the basic user but the Ice axe loops are placed for the more dangerous excursions! For those who love to hike or climb, there are more features such as the Padded removable waist belt and straps for greater comfort, Load-lifter, stabilizer straps and sternum strap for load distribution as well as the Patented Scherer Cinch. 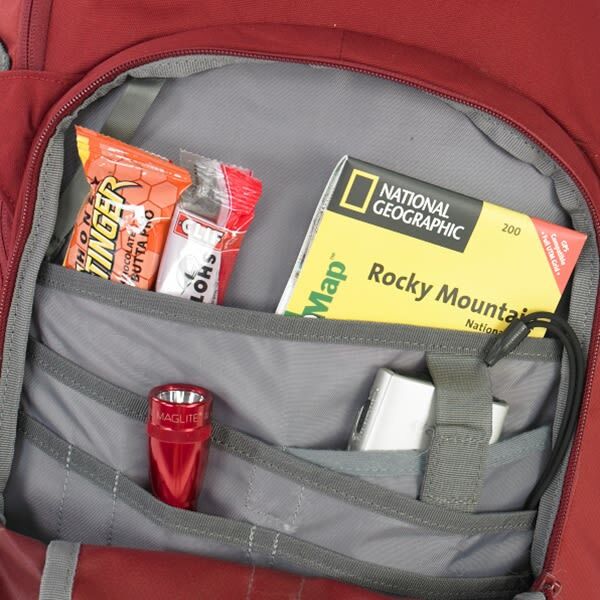 So what more a climber or a hiker asks when his stuff is tucked away behind his back with easy access and the load is distributed for him to enjoy the offerings of the great outdoors. The Kelty Redwing backpack design is made to offer the highest form of comfort and durability. The bag is made for extensive use and it is designed to withstand anything. The material used includes 420-denier polyester Ball Shadow body fabric and the 420-denier polyester Oxford reinforcement fabric. It makes the bag hydration compatible so you do not have to worry that the contents will get wet or soggy. The bag comes with a Single Light Beam aluminum stay and an HDPE frame sheet to support and provide roughage. It has the added features of padded waist and shoulder straps for greater comfort while on the go. 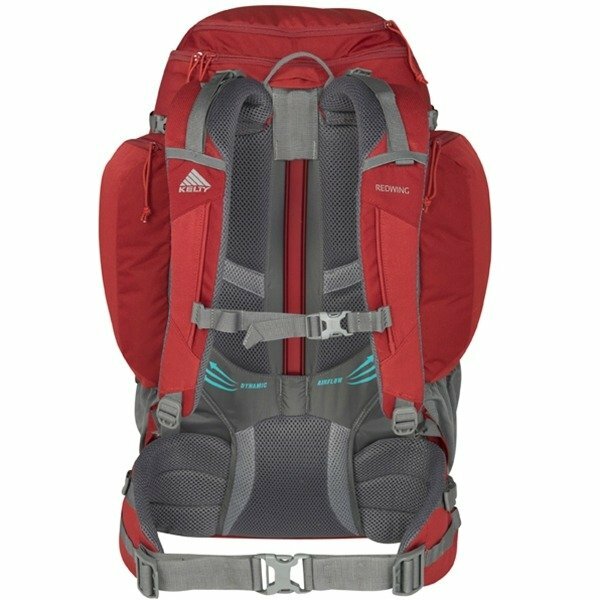 The ventilating back panel is perfect for the more strenuous activities that the user may wish to indulge in while carrying the pack. Designed for the rough and tough and made with durable materials, the Kelty Redwing 50 Internal Frame Pack can be washed with soap and water to become as good as new. Its water and weather resistance features makes sure your stored belongings are not spoiled. The Kelty Redwing 50 Internal Frame Pack comes with a limited warranty. It covers any type of defect in the material used to manufacture the product as well as any glitches in the workmanship of the pack. 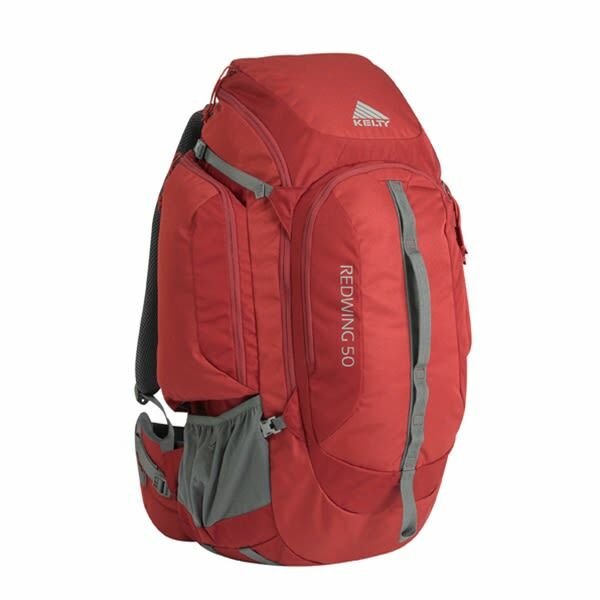 Practically, we have researched a lot but could not find any complaint regarding Kelty Redwing 50 Internal Frame Pack. It is a great purchase. While online stores deliver it right to your doorstep, this exciting backpack can be purchased specially from Amazon as it offers good price and special offers that must not be ignored. 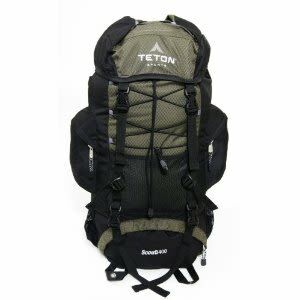 For more details about what you require for that trip and how the Kelty Redwing 50 Internal Frame Pack can accommodate your needs, you can visit the Amazon online store and see top rated user comments. 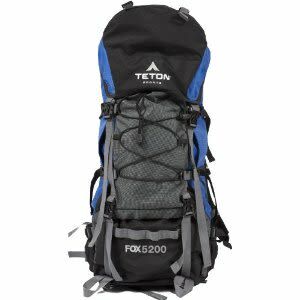 They provide extensive information about the backpack you are going to buy and all details that would be useful for your trip.